Connectivity and a new level of automation is transforming the industrial landscape. 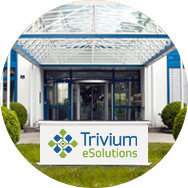 Trivium consults and develops software for Industry 4.0 and Internet of Things applications, providing industrial companies the platforms for data analytics, new services like remote & predictive maintenance and state-of-the-art human machine interfaces that work across devices – from industrial PCs to mobile phones. Beyond data insight, Trivium is enabling a new level of automation on the shop floor but also in the vertical organizational units that is more intelligent, automated and secure than legacy control systems. In some of the industry’s most innovative software projects, Trivium is extending IoT into areas such as autonomous machine control for construction vehicles. With these services, Trivium is providing leading companies like Caterpillar, Leica and Saurer the technology basis to become innovation leaders in their manufacturing processes. The financial services industry is in transformation: new business models, the rise of the FinTechs and increased pressure through regulation and record low interest rates. Digitalization is the basis for succeeding in the changing environment, enabling new levels of data insight, new channels to the customer and a new level of automation needed to master regulatory changes. 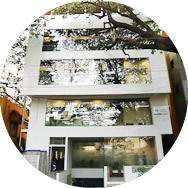 Trivium's experience in consulting and software development services for financial institutions ranges from Corporate Banking Payment Services and Transaction Processing (cashless, various card schemes, MasterCard, VISA, girocard, e-purse, m-payment, Smart Cards) to Security and Fraud Management. With long-term engagements with leading financial institutions like UniCredit Hypovereinsbank, Commerzbank, eBase, Bank-Verlag, DG-Verlag, card manufacturers and processors like TeleCash, Trivium is a partner of choice to support a range of digital transformation initiatives. As data privacy and IT security issues make headlines on a daily basis, companies across industries are investing to ensure process compliance at a business level and security at a technology level. Trivium offers consulting services to create security concepts, risk analysis, contingency plans, IT structural analysis and penetration tests that meet industry and regulatory compliance standards. Our consulting activities are based on “bsi” standards, on ISO 27001 and related to the introduction and managing of ISMS. As a software development partner we build solutions that secure critical infrastructure and processes within a customer’s environment, with projects ranging from remote access for power infrastructure to fraud protection for payment services.